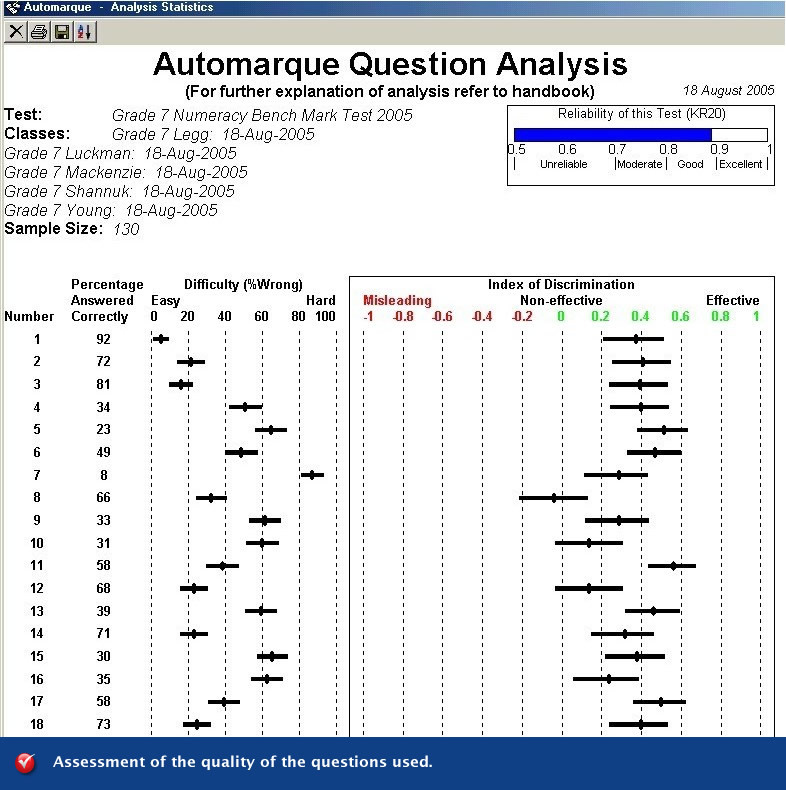 AutoMarque enables teachers to mark their students’ paper based responses to written work, multiple choice questions and practical work in less than two minutes, using their photocopier or portable sheet fed scanner connected to a computer. AutoMarque is a world first product. It enhances the user’s awareness of the quality of their pedagogy and student learning. It is an outstanding productivity tool that assembles survey responses in a few minutes instead of hours. The average photocopier scans at a rate of one sheet per second. 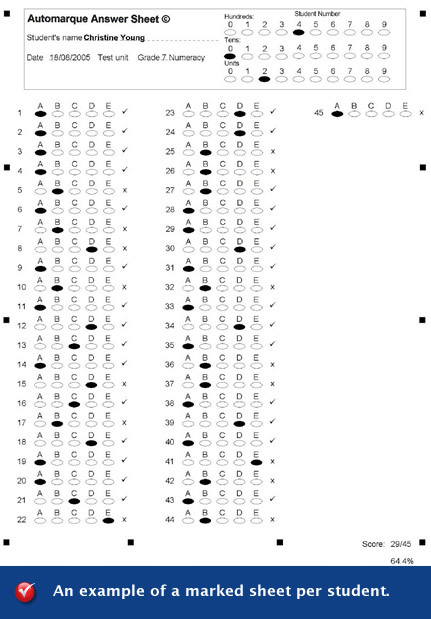 School wide moderation assessments can be very quickly marked. The major advantage of on-campus moderation testing is that results are available very quickly, gaps in learning are immediately identified and rapidly addressed. 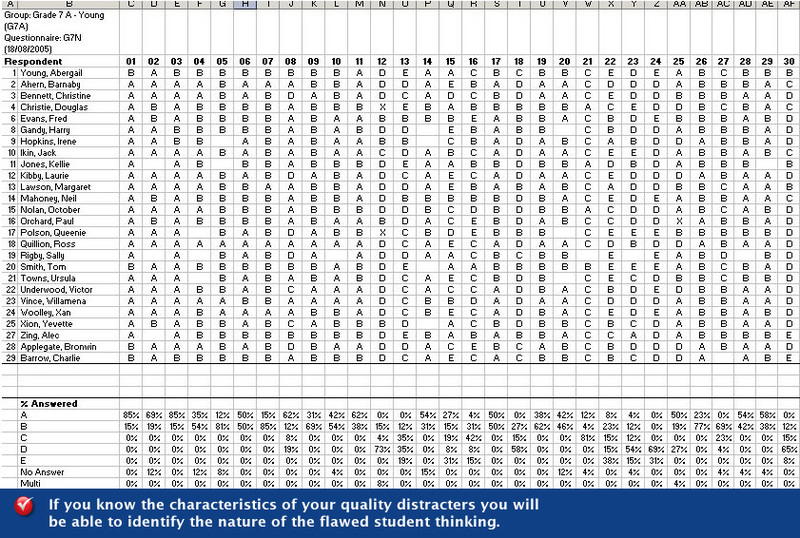 When you conduct a survey the data is automatically assembled in a spread sheet saving you hours of tedious work. 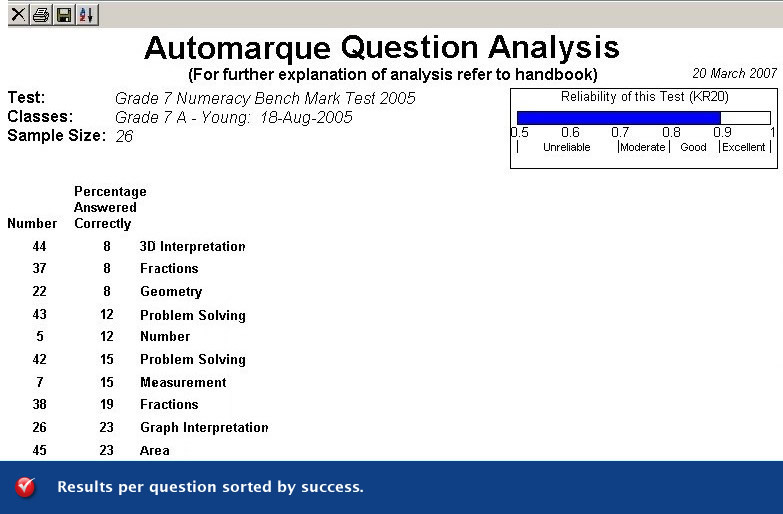 When AutoMarque does your marking for you it enables you to spend more time on lesson preparation. 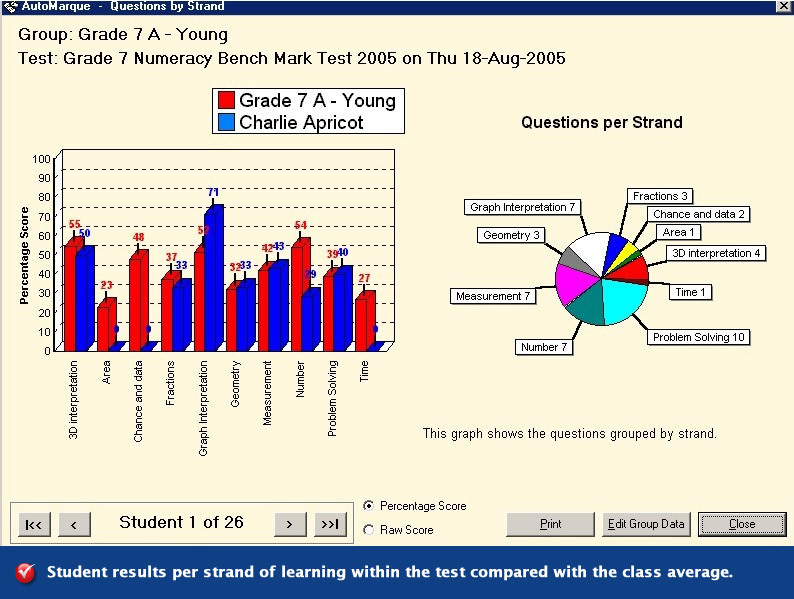 If you want to identify students who have similar learning needs in a class, or year-group of classes, AutoMarque quickly and easily does it for you, by strand of learning. 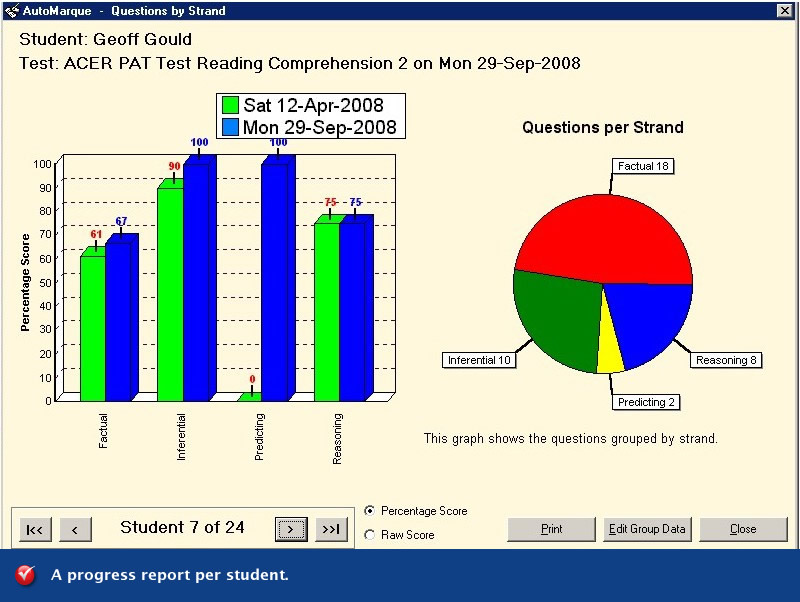 It also provides you with the most powerful tool for students, feedback. 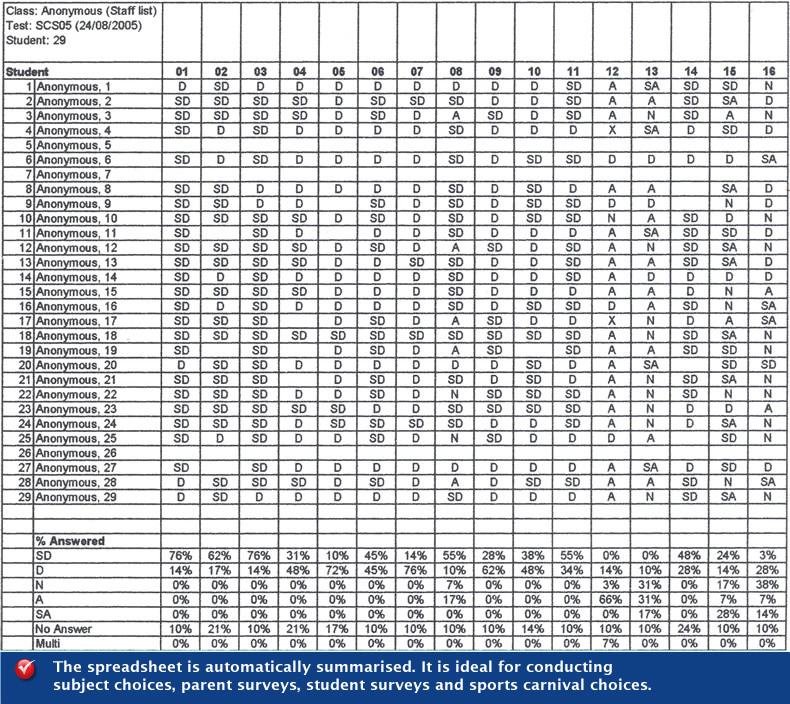 When you conduct a survey the data is automatically assembled in a spread sheet saving you hours of tedious work. A well prepared survey enables AutoMarque to do the diagnostics for you. 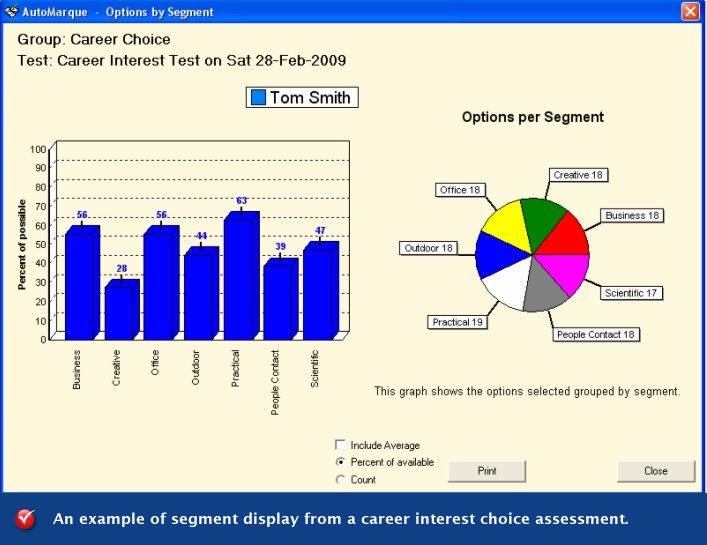 AutoMarque provides you with feedback for self coaching on the quality of your teaching in two different forms. When the results per question and the least well taught are brought to your attention you know exactly where your teaching has been deficient. 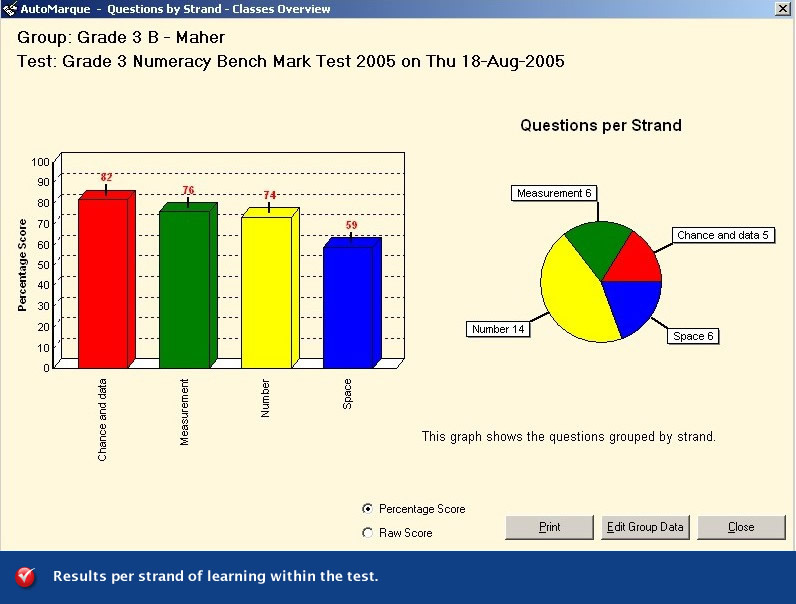 You can also develop spreadsheets that show you how students are thinking and obtain an evaluation of the quality of the questions used in your student's assessment. 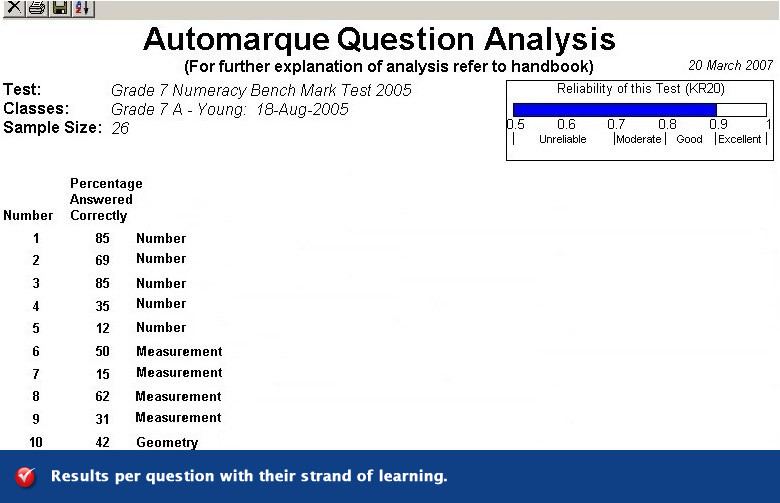 AutoMarque provides feedback to help you to more effectively coach your students by giving you marked sheets and progress reports of your assessments. Student reports compared with their peers. These are valuable for counselling parents and the teacher’s supervisor. 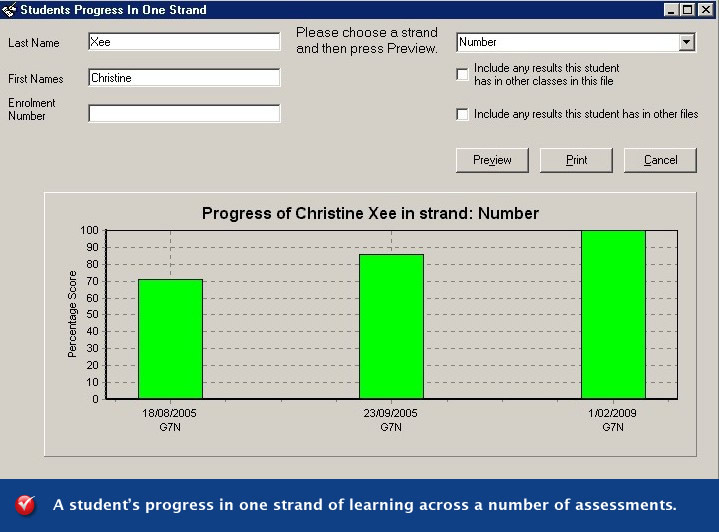 Student progress reports. These are ideal for coaching each student. 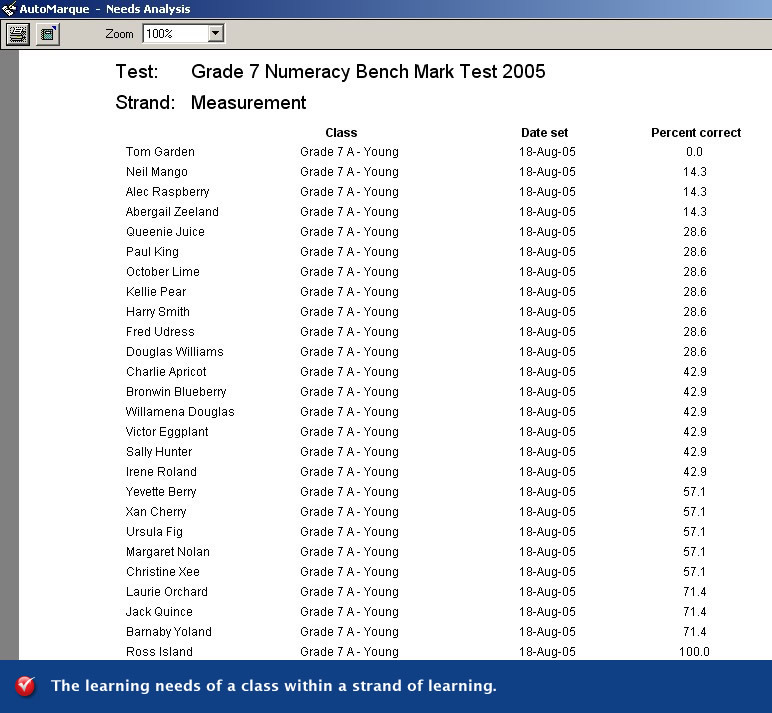 Student progress reports per strand of learning across a number of assessments. These are valuable for obtaining insights into student learning needs.